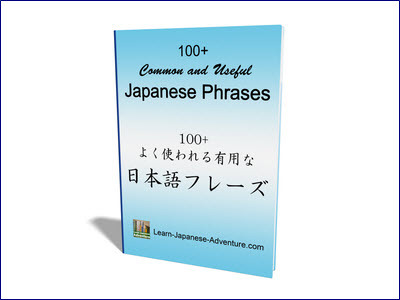 In this lesson, you will learn to form Japanese sentence that makes use of the emphasize structure or 強調構文 (kyouchou koubun - emphatic sentence construction). What is emphasize structure? It is a structure that indicates new, important information by placing it between のは (nowa) and です (desu). This pattern is used when a noun representing a thing, a person, a place, a time, etc, is replaced with の (no) and then taken up as the topic of the sentence. Sometimes it can be a reason instead of a noun that put between のは (nowa) and です (desu). You will see that in the examples later. 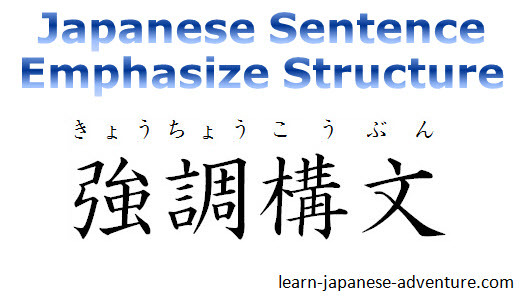 Let's use an example to show how the emphasize structure works in a normal Japanese sentence. Meaning: Ms Tanaka will go to Japan next year. Meaning: Who will go to Japan next year? There is nothing wrong with the above answer. However, your friend already knows that someone is going to Japan next year. He only wants to know who the person is. In conversation, you can simply answer 田中さんです (tanaka san desu - It is Ms Tanaka). Alternatively, you can use the emphasize structure to stress on the person that your friend would like to know. Meaning: It is Ms Tanaka who will go to Japan next year. 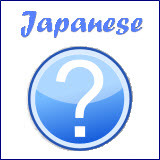 In this Japanese sentence, you want to emphasize what your friend wanted to know most - 誰？ (dare? - who?). Therefore this information "田中さん" is placed after のは (nowa). All other information is placed before のは (nowa). Meaning: When will Ms Tanaka go to Japan?. Meaning: It is next year that Ms Tanaka is going to Japan. The information your friend wanted to know most "来年" is placed after のは (nowa) and all other information is placed before のは (nowa). Note that since one sentence cannot have two topics, 田中さんは (tanaka san wa) has to be changed to 田中さんが (tanaka san ga). Meaning: Where will Ms Tanaka go to next year?. Meaning: It is Japan that Ms Tanaka is going next year. In this Japanese sentence, the information that your friend wanted to know most "日本" is placed after のは (nowa) and all other information is placed before のは (nowa). Let's practise how to use emphasize structure on the following examples. Meaning: Mike is good at Japanese. Meaning: It is Mike who is good at Japanese. 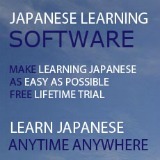 Meaning: It is Japanese that Mike is good at. Meaning: I had a stomach-ache, therefore I was absent from school yesterday. Meaning: It was because I had a stomach-ache therefore I was absent from school yesterday. In the above example, you were asked about the reason why you were absent from school yesterday. In this case it's the reason that you want to emphasize. Take note that when emphasizing reason, you cannot omit から (kara), otherwise you cannot show that this is a reason. Meaning: I am poor in English, therefore I am studying English at "Berlitz". Question A: あなたはBerlitzで 何を 勉強していますか。 - What? Meaning: It is English that I am studying at Berlitz. Question B: あなたは どこで 英語を勉強していますか。 - Where? Meaning: It is Berlitz where I am studying English. Question C: どうして あなたはBerlitzで英語を勉強していますか。 - Why? Meaning: It is because I am poor in English therefore I am studying English at Berlitz.